Photographs are great ways of learning about the past. They hold different levels of meaning and must be viewed critically to gain a true sense of what they represent. For instance, a seemingly straightforward picture of a row of houses might contain valuable information about the way houses were used or redesigned. A street scene with people scattered along the sidewalk might not be an accurate depiction of street life at the time–were the people posed? Did they show up because they knew a photograph was being taken? -Is it a candid or staged photograph? -Has the photograph been noticeably altered in any way? -What kind of image is this and what does that tell me about when it is from or the process used to create it? -How far removed from the original image is the one I'm looking at? 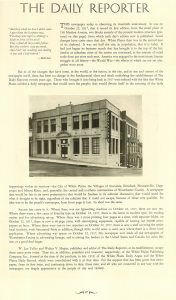 Is it a print made from a negative, a partial scan of a larger image, or a reproduction that was reversed? Who did the alterations? Can I learn what their motives were? Let's use the image of the White Plains Recreation Park below as a text subject, applying historical research techniques to learn about the context of its creation and reproduction. The image comes from a book of photography published by The Daily Reporter on the newspaper's 20th anniversary in 1937. The photo book was published (and presumably sold) to make money, increase readership, and provide material for chamber of commerce-style boosterism. The photograph itself is beautiful–the wide angle shot takes in almost all of what is now Delfino Park and the hills beyond Lake Street. 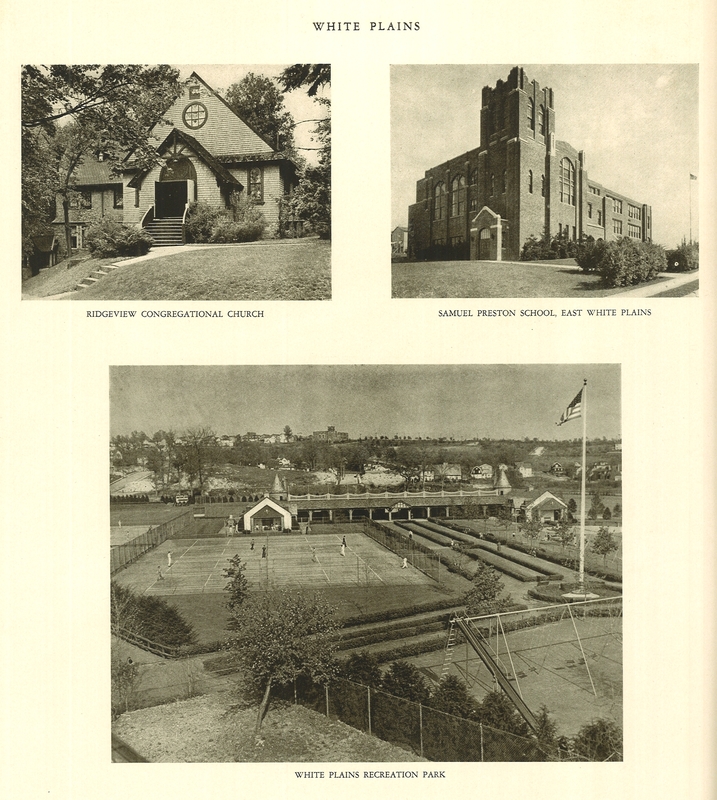 The tennis courts tell us that enough people enjoyed the game in 1937 (assuming the photograph was taken the same year the book was published) to warrant the use of public funds for a park, and that an area of dense suburban development was once much sparser. Also of note, for me at least, is the extremely long slide on the swingset in the foreground, which would likely fail modern child safety evaluations. If historical fashion is your interest, you can zoom in on the courts and check out the sweaters and long pants of the tennis players. 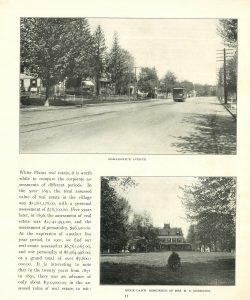 Below are more images from photo books published by The Daily Reporter and one by John Rosch, called Picturesque White Plains. I've added some notes on the details I noticed and the questions the images inspired. 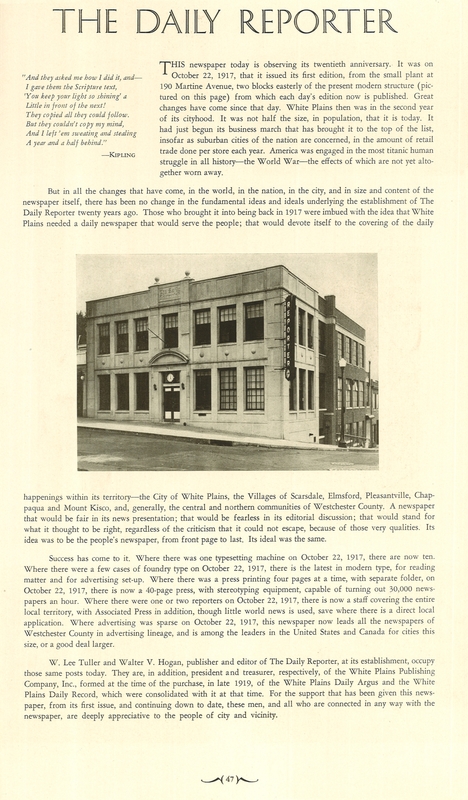 A shot of The Daily Reporter's offices at the corner of Martine and Grand from their 1937 photo book. The topography of the streets is interesting–Martine Avenue was raised during the construction of the Library Plaza and Galleria projects, so there is no longer a steep hill leading away from Martine. 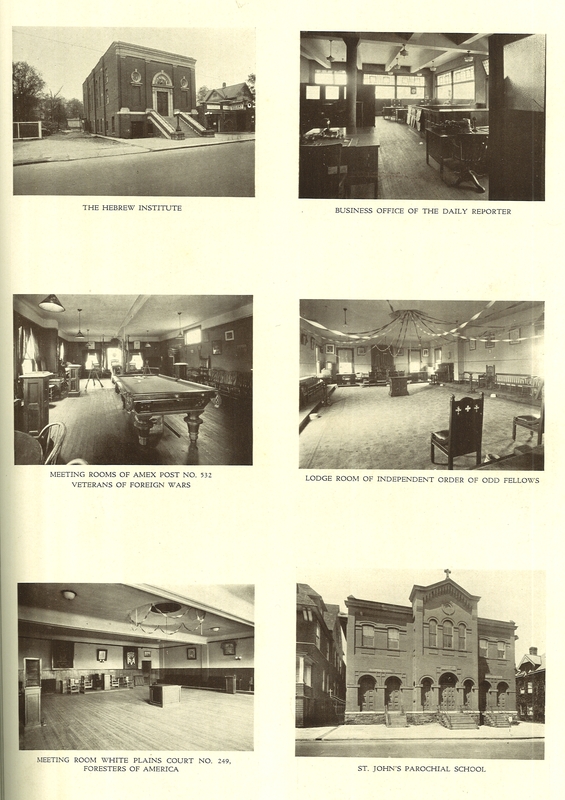 It also helps to note signs and architectural nuances which might help one identify other photographs. 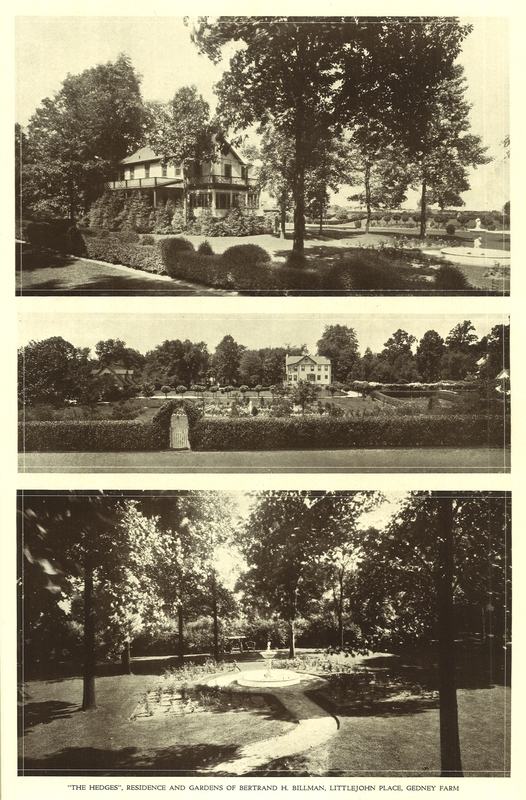 This page of images of “The Hedges,” a property belonging to Bertrand H Billman on Little John Place, is notable for the landscaping and botanical details. A current homeowner or landscape architect looking for inspiration would find The Daily Reporter's 1927 photo book fascinating. 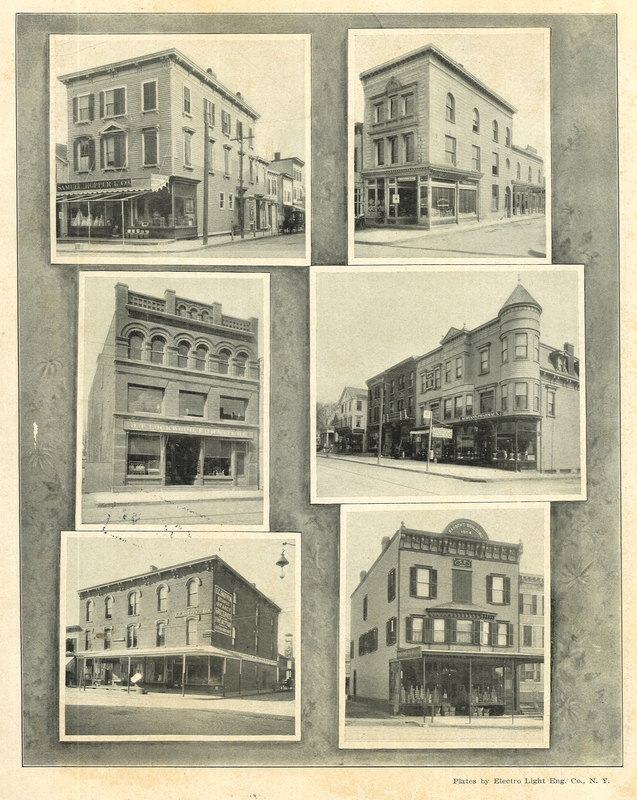 This is a page of interiors and facades from The Daily Reporter's 1927 photo book. 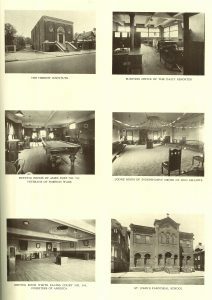 The chance to see relatively unstaged shots of interiors of club houses and the newspaper's offices is unique and evocative. These are just the sort of shots authors of historical fiction can draw inspiration from. This shot of the Willits property in Gedney Farm is a dramatic illustration of how landscapes we regard as eternal or at least ancient are really the quite recent result of human efforts. 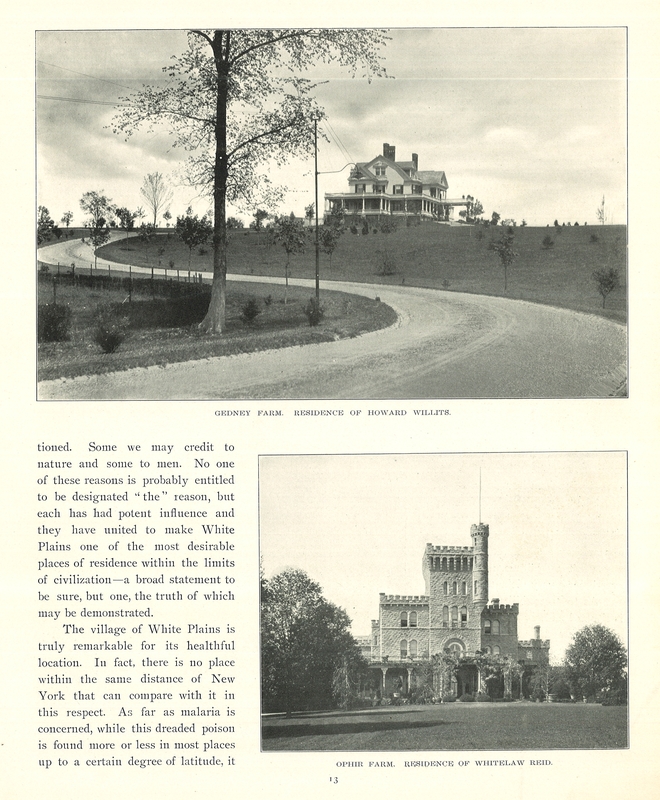 Except for the golf course, Gedney Farm is today thoroughly filled in by woods and residential development. Just over one hundred years ago it looked very different, a truth belied by today's tall trees and thick undergrowth. These wood and brick buildings, let alone the businesses they housed, are long gone. This was the White Plains of John Rosch, when Main Street was still Railroad Avenue. 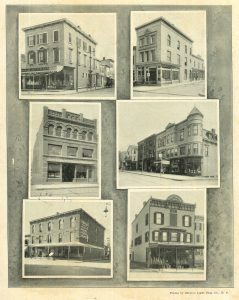 The building on the bottom right has an insignia on it for the International Order of Odd Fellows, and may well have been the location of the interior shot in the other set of photos in this post. The featured image in the upper left of this post is from the John Rosch Collection. 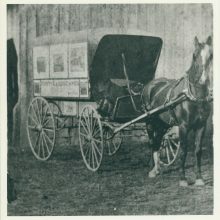 It shows his horse drawn mobile darkroom, which he would drive around White Plains. Other images from the John Rosch Collection are available on the Digital Culture of Metropolitan New York website. 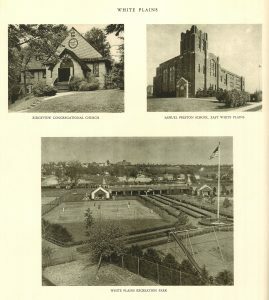 Tags: John Rosch, landscape architecture, local-history, photographs, photography, tennis, the daily reporter, white plains collection, and white plains history.